arrives in San Francisco for an exclusive performance that can’t be missed! 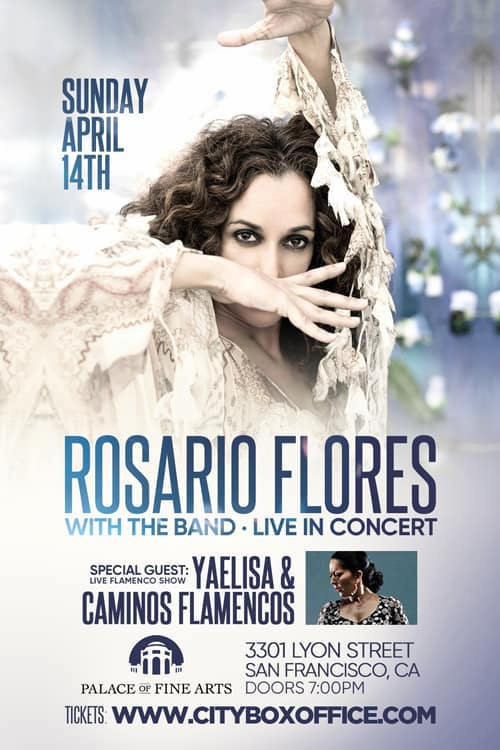 Special guest Yaelisa & Caminos Flamencos. 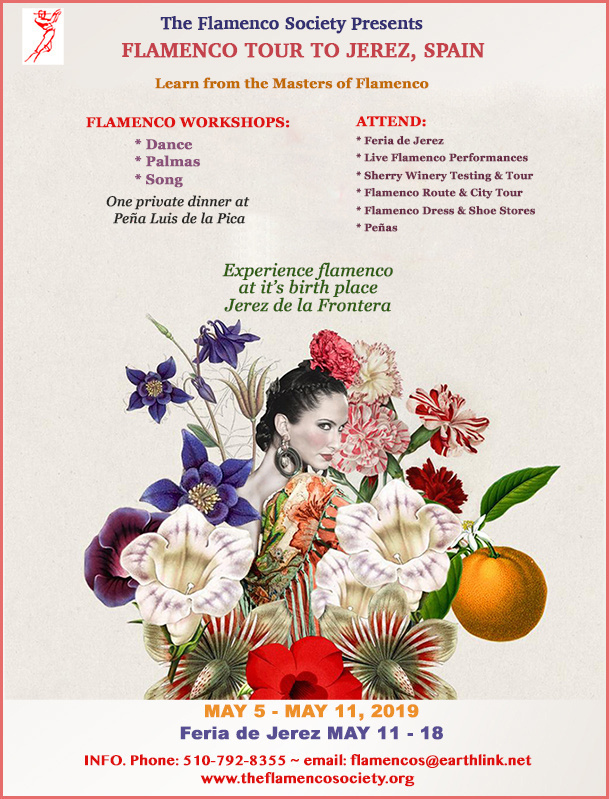 Do not miss this performance of traditional Flamenco festival style. 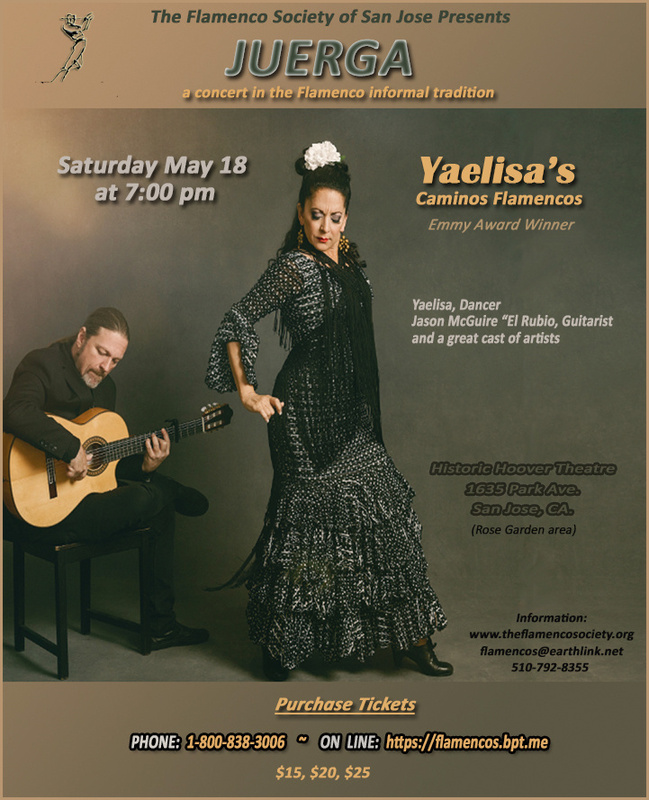 Showcasing a great cast of flamenco artists, Special guests Yaelisa’s Caminos Flamencos. Want to Experience the Art of Flamenco in Jerez, Spain? The Flamenco Society of San Jose, is proud to present a Tour to study Flamenco in Jerez, Spain! A chance to learn from some of the best Flamenco Artists in Jerez!